SHE IS A GRAND old lady from a different era but her wisdom should be in no doubt whatsoever. “It’s time people with something more to say made films,” she said, passing verdict on the current state of the Indian film industry. The 87-year-old Kamini Kaushal, who has an illustrious cinema career as an actor, was on a rare, and possibly final, visit to London. In good heart and spirits, though slightly frail, she regaled an audience made up of the Indian Journalists Association (IJA) with her experiences of working with some of the greats and her much celebrated debut in “Neecha Nagar”. First premiered in Cannes in 1946 – at the first of what would become the most famous film festival of them all – it remains the only Indian movie to have ever won the much coveted top prize. That year the Grand Prix (as it was known then, now called the Palme d’Or), “Neecha Nagar” shared the accolade with another enduring classic, David Lean’s “Brief Encounter”. Kaushal did not go to Cannes but had hoped that last year when the festival officially celebrated a 100 years of Indian cinema, an invitation would be extended. Still, she is far from forgotten – she appeared in Shah Rukh Khan’s superhit 2013 Diwali release, “Chennai Express”. “It was pure fun. I did ‘Chennai Express’ because after 106 films and all these donkey years in the film industry, people would ask me: ‘Which film have you done with SRK?…I would say: ‘Oh, Shah Rukh…who is Shah Rukh? In fact, “Chennai Express” and her most recent one “Purani Jeans” (2014) represent the changing face of Indian cinema quite perfectly. Back in the day, she appeared in many films often alongside leading men who were just starting out and who would later become some of the most famous names in Indian cinema. Among them were Raj Kapoor, Dilip Kumar and Dev Anand. She remembered Raj Kapoor as the ultimate prankster but declined to talk about a reported romance with Kumar. “It’s personal,” she replied when moderator and UKAsians editor Viji Alles asked about it. 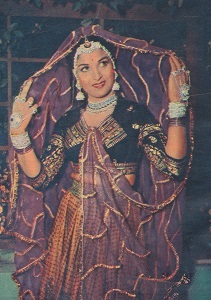 She said the Dev Anand practically beseeched her to be in his films but her family commitments always came first. After “Neecha Nagar”, she married and settled down in Bombay (now Mumbai), raising five children and gave up acting for a while. “I was not doing it at the cost of my kids – that’s why you will see so many gaps in my career,” she said explaining why she faded before re-appearing. Indeed, to a generation of children in India, she is far better known as the mastermind behind a hugely popular puppet show broadcast on the national channel at the time, “Doordarshan”. The series ran for a year (1972-73) and was the first such children’s series in Hindi. At the time, she also had her column in a children’s magazine, “Parag”, featuring the antics of ‘Bunty’, and ‘Chotbhai’ and ‘Motabhai’ – who were all loosely based on her own son and his cousin contemporaries. The Cannes-award winning “Neecha Nagar” was a serious film about deprivation and poverty. It was about a clash between the rich and the poor and set around two communities that lived by a hill. Kaushal, which is her stage name (Uma Sood her real one), said many of those involved were making their first film – the music director was one Ravi Shankar, another new actor was Zohra Segal, who died recently. “All of us were new, it was a political film,” revealed Kaushal. Directed by Chetan Anand, brother of the iconic Dev, it wowed the Cannes judges and many believed it paved the way for parallel cinema in contrast to Bollywood, enabling the likes of the late Satyajit Ray and the still around Shyam Benegal to develop and prosper. For Kaushal, her more recent forays have reminded her how much has changed. While calling for an increase in a more serious type of filmmaking and filmmaker, she spoke movingly of her own early personal travails and how cinema at the time reflected this more. She grew up in Lahore (now in Pakistan) when the British were still in power and ruled the sub-continent. Some years ago she was able to visit Lahore and saw her old home and her father’s old office at the Government College, which was recognising her father’s contribution to its development. Today the home has given way for a shopping mall. Two elements of her life really communicate the difference between the yesteryear of Bollywood and now. She remains an avowed Gandhian, telling the audience that one of her daughters had just penned a book for children about Gandhian philosophy. “There are stories based on Gandhiji’s philosophy. Why he is important and why is so revered. The other is the exceptional freedom (for the time) she enjoyed as a young girl first under her father – an eminent Cambridge University educated botanist Shivram Kashyap, and then her brother who went onto become a prominent surgeon. She described how her brothers used to go out on field trips with her father and how one would take moving pictures and the other stills. By the age of six, she had been cast in a home production called “The Tragedy”. 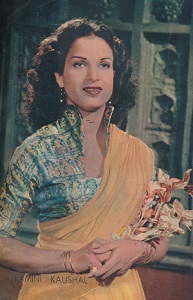 She began acting and appeared in the theatre and on the radio and it was what led Chetan Anand to offer her the part in “Neecha Nagar”. While she reminsced fondly about the old Bollywood days, it was clear her puppet show, which she devised and executed herself with help from her sons, remains the most vivid and telling experience of her life. 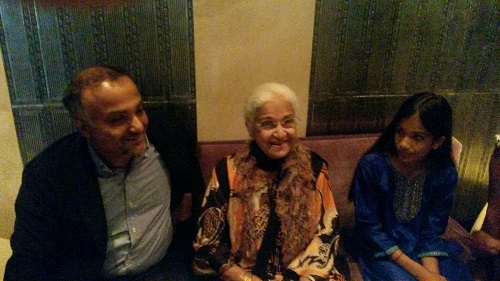 Kamini Kaushal talked to the Indian Journalists Association at Indali Lounge, Baker St, London on Monday, July 28. London Film Festival 2016: A wrap – Chappathi or Bhatura? Appreciate it for sharing your good site. say thanks to so considerably for your internet site it helps a lot. Many thanks, this website is really helpful. I enjoy the info on your websites. thnx! Very insightful look forth to coming back again. Great looking site. Assume you did a great deal of your very own coding. Thank you so much for sharing this good web site. I delight in the data on your site. Many thanks! Keep up the great work and producing in the group! Here are some of the internet sites we suggest for our visitors.